When my kids were younger, it was easy for me to plan what activities and attractions we wanted to see and do when traveling. Since they’ve gotten older and perhaps because we have traveled fairly frequently, I’ve found that it’s more difficult for me to find attractions that really stand out above the rest or offer something different so we don’t leave with a been here, done that feeling of disappointment. When researching things to do in New York City, and learned of a pizza tour in Brooklyn I was intrigued. 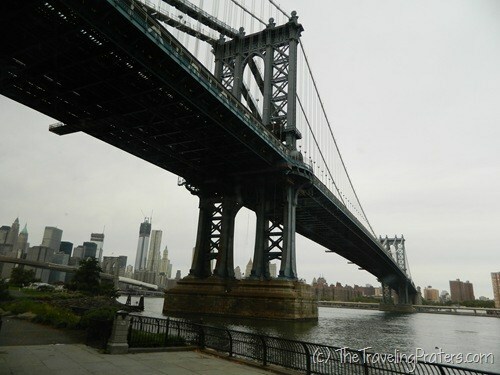 Not only would a guided bus tour allow my daughter and I an opportunity to rest our feet, we’d also learn about the history of Brooklyn while seeing some great sights and have a chance to eat some amazing pizza. A Slice of Brooklyn Pizza tour sounded like just the ticket to a fun, family-friendly and educational afternoon. To my surprise, when I mentioned the tour to my 16-year old daughter, she actually sounded interested. “It’s pizza, Mom. Why wouldn’t I want to eat pizza?” I think my question may even have elicited the ever common eye roll. 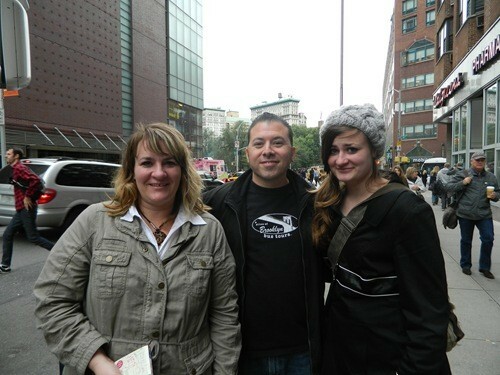 On the big day, we met the bus, and Tony, the tour guide, in Manhattan. Our nearly sold out tour had visitors from as far away as the Yukon, Germany, and Australia. Yep. This bus tour is famous around the world, folks. It didn’t take me long to find out why this tour reigns as the #1 tour of Brooklyn according to TripAdvisor. As soon as Tony began narrating the sights and telling us what we could expect in his Brooklyn accent, I was hooked. I knew I was going to love the tour. And when my daughter looked at me and smiled, I knew he was going to be able to hold her attention as well, something that isn’t always an easy feat. Not only is Tony a gifted and personable tour guide, but he’s also the owner the operation. Tony left his career in the medical field to share his love of his native Brooklyn to tourists via the bus tours. He uses late model coach tour buses that are comfortable, climate controlled, have spotless windows (a must for taking photographs) and even have restrooms on board. His love and knowledge of Brooklyn are evident, his enthusiasm is catching, and your mouth will water as you listen to him describe the pizza you’ll eat on your tour. 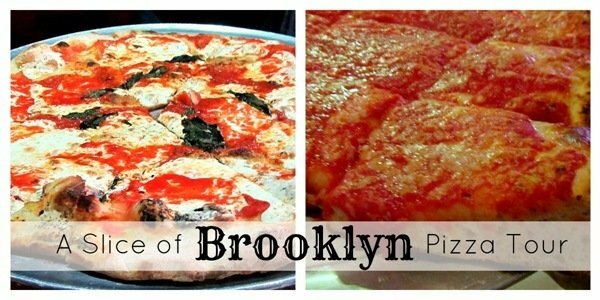 A Slice of Brooklyn Pizza Tour offers something for nearly everyone and is easily enjoyed by people of all ages. Passengers will learn a bit of the history of Brooklyn, get an up-close look at iconic landmarks like the Brooklyn Bridge and Coney Island, see where scenes from classic movies like the Godfather, Scent of a Woman or Saturday Night Fever were filmed while you watch the movie clips on the in-bus screens, and eat at some of the best pizzerias Brooklyn has to offer, legendary Grimaldi’s and L & B Spumoni Gardens. Did I mention that you’ll feel like a rock star as you receive VIP treatment and bypass the line at Grimaldi’s? You will be the envy of the crowd. Guaranteed. Oooh…the pizza at Grimaldi’s is amazing! Cooked to perfection in about three minutes in a 900-degree coal-fired brick oven, this thin crust Margherita pizza reminded me of the pizza I ate at Domenica in New Orleans. Tony kept an eye on the tight schedule as Edwin, our bus driver maneuvered through the narrow Brooklyn streets. He took the tour bus through tight spaces that I wouldn’t even take my family car through. Yes, his skills were impressive and I was happy to sit back, let him do the driving while I enjoyed the sights. While Tony’s favorite pizza is the Sicilian style pizza found at the family-owned L & B Spumoni Gardens, I really enjoyed Grimaldi’s. After taking a quick poll on the bus by a show of hands, it was determined that we were pretty evenly divided on which pizza was better. I guess you’ll just have to take the tour yourself to see who has the best pizza in Brooklyn. 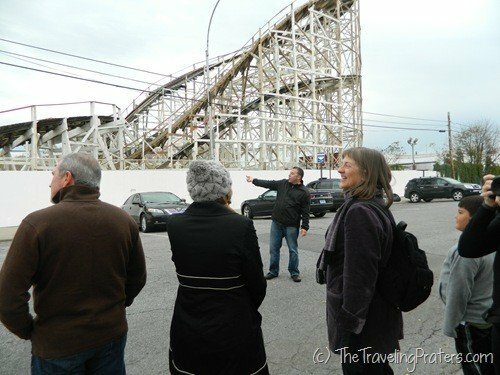 We made a final stop at the iconic Coney Island and heard about the revitalization of the area while walking the boardwalk and breathing the fresh ocean air. A Slice of Brooklyn Pizza Tour is a 4 1/2 hour long tour that is appropriate for all ages, there were several families with younger children on the tour and they didn’t have any problems. I wouldn’t hesitate to take along a well behaved 8 or 10-year-old child. In addition to the pizza tour, there are currently three other tours available, a neighborhood tour, Christmas lights tour and a fairly new Chocolate Tour. A brewery tour is in the works and you can keep up to date with details when you like A Slice of Brooklyn Pizza Tour on Facebook. 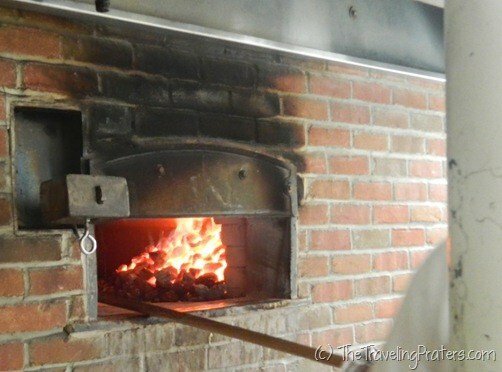 You can find out what other travelers thought of the pizza tour at TripAdvisor. A Slice of Brooklyn Pizza tours is offered during regularly scheduled tours Saturday, Sunday and Monday as well as private pizza tours. The tour includes two slices of pizza and soft drinks at each location. We even took leftovers on the bus with us, I can assure you, you will not leave this tour hungry. Tickets run about $80 per person or $70 for children age 12 and under. Advance reservations for the pizza tour are required as it does tend to sell out. You can purchase tickets through Viator here. 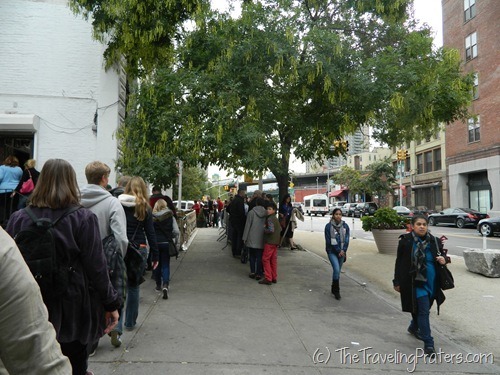 This tour was enjoyed by both my teenage daughter and myself and is top on our list of favorite things to do in New York City. I can’t wait to return for another tour, this time with the entire family. I’m already trying to coax my husband into a winter trip to the Big Apple so we can enjoy the Christmas lights tour. If you’re looking for things to do in New York City other than the same ole tourist attraction consider adding A Slice of Brooklyn Pizza Tour to your list of things to do in New York City. Who knows, after your tour, you may just say Manhattan? Fuhgettaboudit!® and stay in Brooklyn! So if you’re looking for things to do in New York City, consider a pizza tour. I really don’t think you’ll regret it. Chelsea and I received complimentary tickets in exchange for sharing my experience with my readers. I was asked only to share my honest opinion. © 2012 – 2019, Tonya Prater. All rights reserved. Looks fun! I took a tour of New York City with my kids through Zip Aviation. Highly recommended, the kids loved it! We will go back for sure. Wow, this tour looks amazing! I’ve read about the Christmas Lights tour, and both tours are on my agenda. I keep saying next time I head to NYC, I really want to explore Brooklyn more. Now I’m thinkin’ when our next trip could be. 🙂 Thanks for linking up your post to Inspire Me Wednesday! This sounds delicious! I would love to go on the tour the next time I am in New York as I have a horrible weakness for pizza. Thanks for joining our Family Travel Friday blog hop! L&M Spumoni Gardens is awesome. It’s what sicilian style pizza is supposed to be, and so rarely is. And the spumoni is amazing. That sounds AWESOME!!!! I would have loved it! Food tours are always one of my favorite things to do while traveling. Sadly my kids are a bit too young to do them so I haven’t been on a food tour in a while. One day though I will start again! 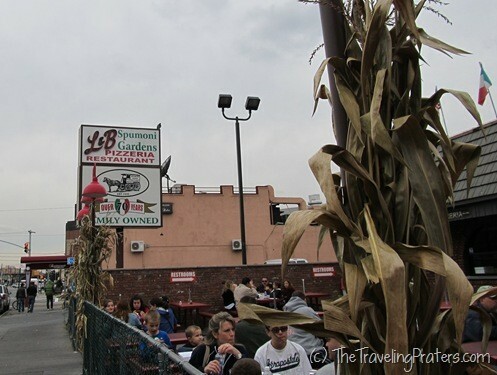 Definetely adding the Slice of Brooklyn Pizza Tour on my must do list when my kids are older. I’ve heard really good things about Grimaldi’s too! 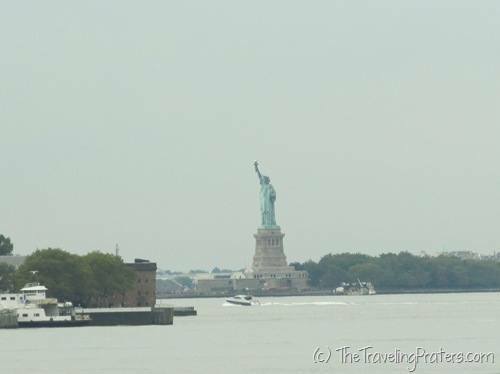 I’ve heard good things about this tour in the past and now that I’ve seen your photos and read your description it is definitely going on our list for the next trip to New York – my kids would LOVE this!! It’s been 10 years since I’ve been to New York. I’ve always kind of wanted to go back but now I really want to go back for this tour. It looks great! What fun! We did a Boston Pizza Tour in the North End in August. It was a good way to sneak a little history lesson on the kids, since our guide pointed out several historic sites along the way. Tonya, this is wonderful! We were in NYC last weekend for a Daddy/Daughter weekend, and were considering doing this tour. I had met Tony earlier in the week, and thought he was fantastic. We ultimately didn’t do the tour, but are committed to coming back to do it. Thanks for the report.